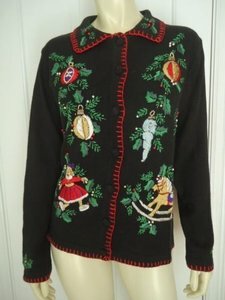 Beautiful Ramie Cotton Christmas Cardigan Sweater by B. P. DESIGNSLovely Christmas Embroidery with Bead AccentsCollar--Knit Covered Button FrontBright Red overcasted stitch around collar, down front, around hem, and sleeve edgesA MUST HAVE FOR THE HOLIDAYS! 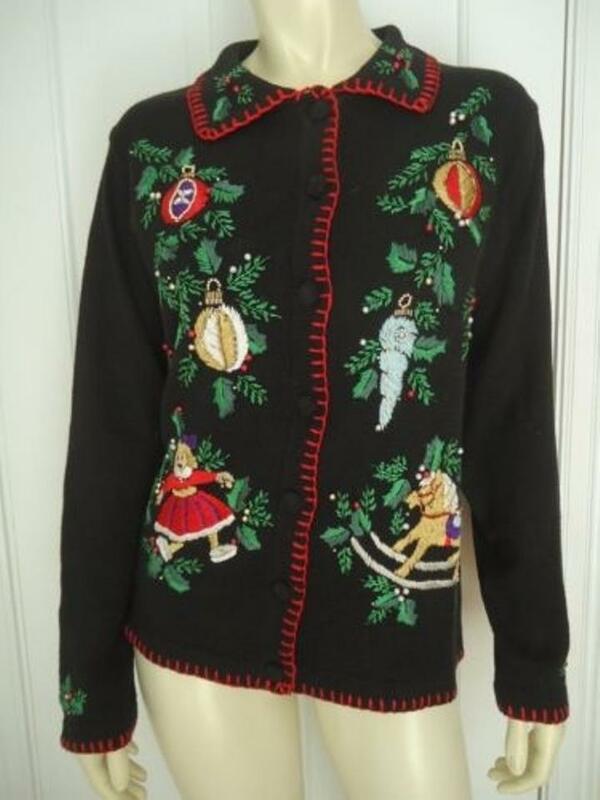 !#3-inventory purposes only CONDITION Gently worn. FLAWS/DEFECTS Very faint sport on sweater lapel. See photo for reference.